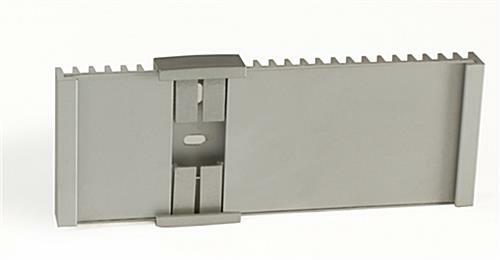 This Wall Mounted Door Sign Mounts Horizontally or Vertically. This Directional Signage is Ideal for Room Number Display. This Wall Mounted Door Sign can be Used with Custom Graphics. 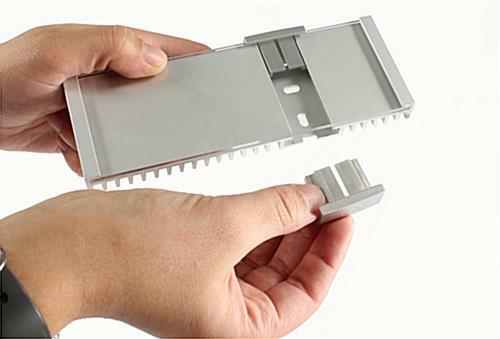 Slide-in design makes display changes fast and easy. 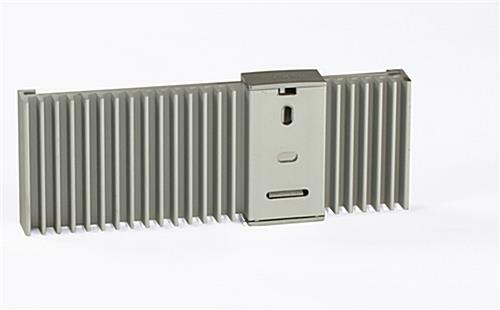 Aluminum base can be mounted horizontally or vertically. 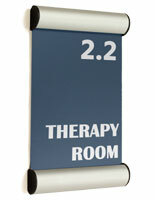 Holds any graphics up to 5-7/8"w x 2-1/4"h.
This wall mounted door sign is made for use with personalized inserts. The interior wayfinding signage includes an acrylic lens that protects the inserts. Each wall mounted door sign comes with two silver plastic clips that keep the acrylic cover in place. 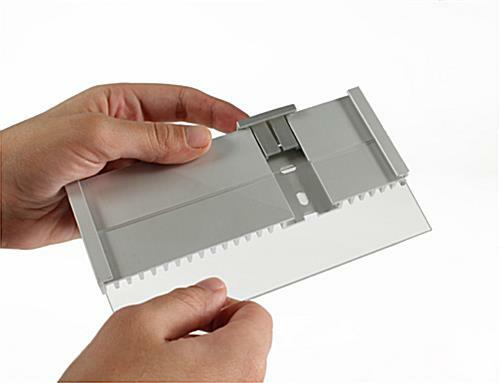 By removing the top clip, signage changes can be made easily without detaching the plate. 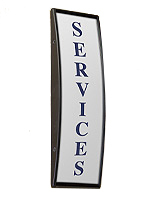 This silver wall mounted door sign that enables fast sign changes is ideal for use with custom graphics. Personalized designs can be made with any standard printer and paper. Each nameplate display, wall mounted door sign is made for inserts with maximum dimensions of 5-7/8"w x 2-1/4"h. Depending on the application, the frame can be arranged either horizontally or vertically. This wall mounted door sign has a neutral design that can be used in different environments. Therefore, the nameplate can be used in a variety of different settings. 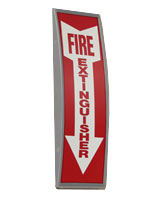 This wall mounted door sign that has an aluminum base is the ideal directional signage for large office buildings. Businesses and educational institutions commonly use these displays to show room numbers and employee names. This wall mounted door sign does not ship with any premade inserts. However, custom graphics can easily be created by any user with a computer and printer. This wall mounted door sign that mounts horizontally or vertically is just one of many models. Other sizes and styles, including interior signage with snap frames, are also available in this online store. 6.1" x 2.3" x 0.5"